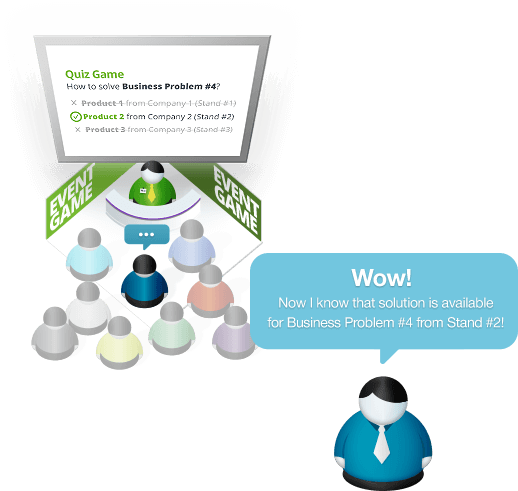 EventGame is a comprehensive mobile application for exhibitions with smart built-in gamification features. 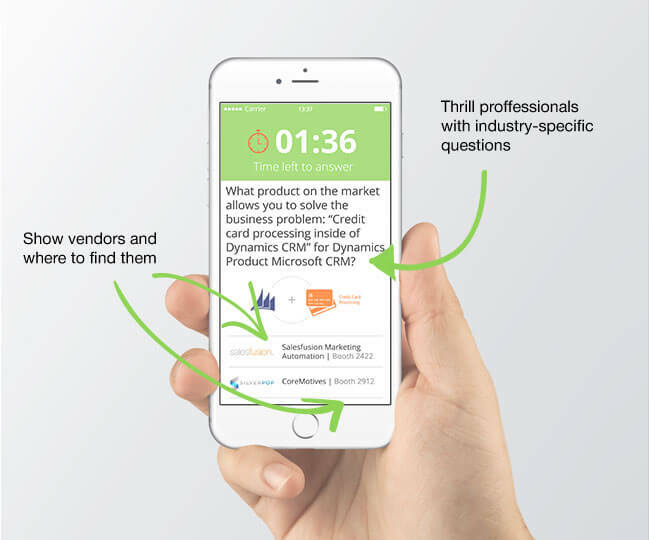 Organize industry-related quizzes among professionals. 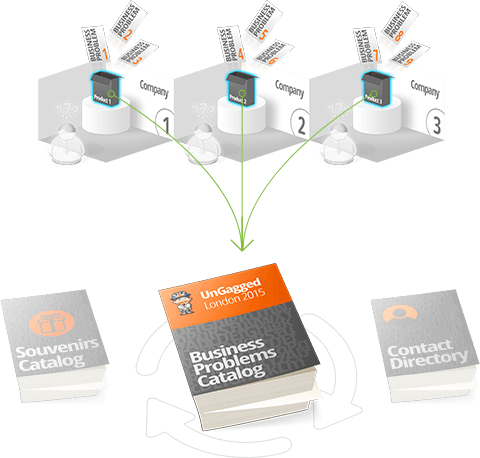 — a smart way to organize tradeshow gamification. EventGame engages the participants of any event into a unique industry-specific quiz game that will leave no one indifferent. 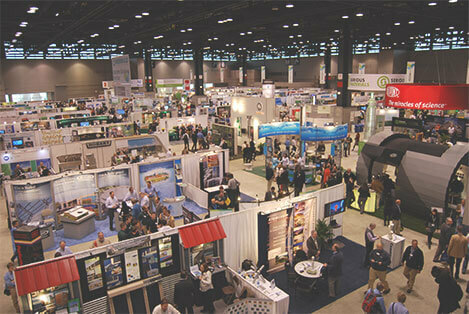 Extensive set of features can fit small and midsize events as well as big enterprise-level tradeshows. For your event we create a unique industry-related quiz game. Professionals will compete for the title of the best expert, and novices will learn a lot of about their field of work. How many booths will fit in your venue? 10, 100, > 1000? Imagine that the number of booths is not limited to the physical area of the exhibition. At the same time, each exhibitor has the ability to present his products and services, to provide contact information and to set up a meeting. Sounds good, right? This opportunity is provided by EventGame. So, virtual exhibitors also get qualified leads and exhibition visitors can choose from even more vendors. How can participants understand in 30 seconds the main essence of the products being offered and the benefits these products can bring to their business? 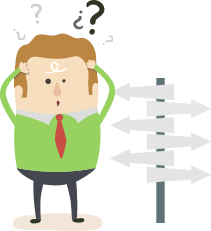 How can exhibitors inform participants about available solutions to their problems in a hassle-free, efficient and enjoyable way? Event participants play a game and learn about products and companies, including those that they may be interested in. After learning about the necessary products and companies, they head straight to the booths of corresponding exponents. EventGame can be delivered as a comprehensive mobile app as well as smart gamification module integrated with your existing event app. If you already have a mobile event app we can seamlessly embed the EventGame powerful gamification engine inside it, and motivate your exhibitors and attendees to join, learn, and collaborate in an easy and enjoyable way. 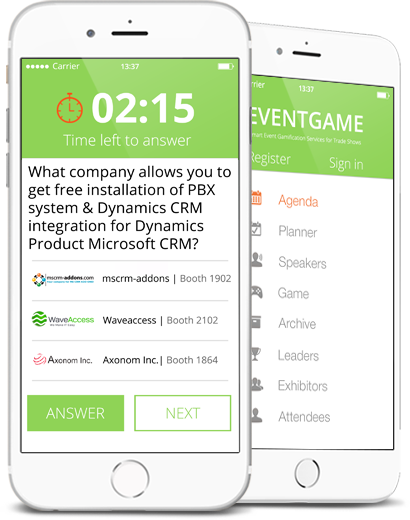 A complete event app or embedded gamification module — choose your EventGame. A complete app for events. Smart built-in gamification features. 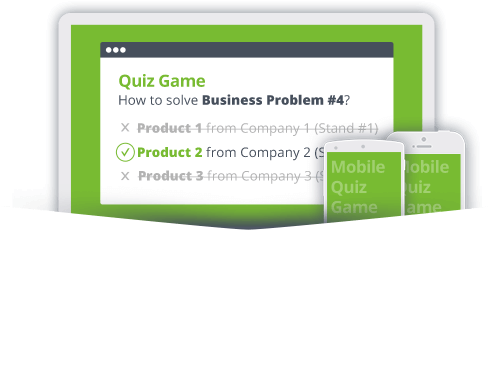 How do we create industry-specific quiz game?